If you are searching for the “motorhome classes” this post should point you in the right direction. 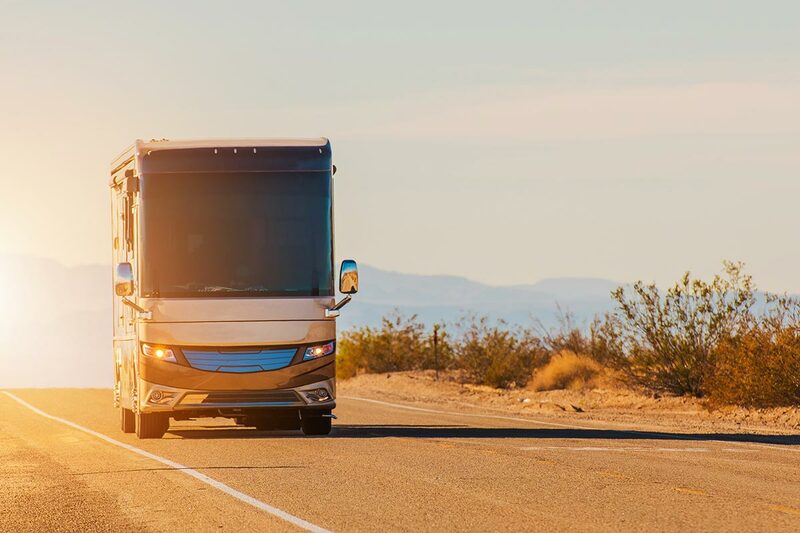 When considering on what type of motor home is right for you, it’s very easy to become overwhelmed with all of the options and classes available to you. The first thing you will need to do is do your homework. Doing your research, having and sticking to your budget, and having a good idea of where you plan on taking your RV, and who will be traveling with you on your adventures will help you in your search. There really is nothing more enjoyable than motor home camping, but not everyone has the same goals or requirements. It’s crucial you select a vehicle that will fit your expectations and more importantly your budget. Motor homes have various advantages over the travel trailer style of recreational vehicles. They are usually entirely self-contained, easier to set up at camping sites and have room for your family and friends to move about while traveling. Class A motorhomes are the largest and most the expensive motorhomes on the road today, and are a favorite by the more committed travelers. Some variations include purpose built motorhomes and converted busses. Their drivelines can usually be set up as pusher or puller configurations and are powered by either a gasoline or diesel engine. Some of motorhomes may be as long as 45 feet, and no commercial driver’s license is required to legally operate one. These types motor homes offer you the most interior space and the most available motorhome features. Some are equipped with sections that slide-out to expand the living quarters, and it’s not uncommon to have a master bedroom. The list of amenities, features, and appliances are countless. Some of the benefits include a washer and drier, ice machine, full shower and bath facilities, and home entertainment systems. They also have a lot of basement storage for your cargo. These motorhomes can be stocked to travel the road almost forever. These are great options for quick weekend getaways or full-time camping. But their price in expensive and their size is daunting for many. Narrow forest roads simply can’t be accessed. Driving these vehicles through twisty forest roads can be a dangerous and parking in smaller camping sites may prove to be a pain. After setting up, it is often difficult to leave again to simply running into town, and a lot of owners choose to tow along a smaller vehicle to circumvent this concern. In addition to the expense of the motorhome, the costs fuel, insurance and repairs are also the highest of any other classes. If you can afford it, a class A motorhome might be right for you. Retirees love them as it gives them the opportunity to travel the open road for longer periods of time. These are sometimes called camper vans, and it includes many of the smaller types of vehicles that can barely qualify to be considered a motorhome. They are usually built on a normal full-sized van chassis and has a raised roof to let you walk upright. Like class A motorhomes, you can usually find both diesel and gasoline powered styles. These smaller travel campers provide you with comfy sleeping quarters and all of the basics of life. Because of their smaller size, they are easy to drive, navigate and store. You can to take one of these on quick day trips or to run down to the corner market. Class B motorhomes can comfortably fit one or two people, and are typically fully self-contained. Campers can enjoy access to a fridge, sink, showers, toilets, a/c and heating. While they still a little expensive to purchase, they are more economical to operate. The interior space on these classes is often crowded. If more than a two people are going to be camping in it, the quarters can promptly become uncomfortable. The size of the appliances are also much smaller than you are used to. There is no space for laundry facilities or full sized entertainment systems. They also do not have the cargo space to carry many items. These are mid-sized motorhomes that range anywhere from 20 to 33 feet. They are typically built on top of existing van and truck chassis and are usually designed for families or groups that need to vacation on a tighter budget. These types will have many of the same benefits and considerations as the class A, but at a lower price tag. These types offer a more living space than the smaller class B motorhomes and many of the same niceties of a class A. They usually will have toilet and shower facilities, a sufficient kitchen and bigger area to sleep. Some of the larger models will feature a master suite in the rear. Couches and tables can convert into beds and the overhead sections above the cab can be used for storage or even additional sleeping areas. Due to the design of the cab, it is a lot easier to gain entry through the side doors. Class C motorhomes can be every bit as difficult to drive as the class A, but they are usually easier to navigate in confined camp sites. Travelers often will tow another vehicle for daytime excursions and errands. The fuel costs are slightly improved, as is the upkeep and insurance; however, these are still moderately expensive to operate. These are great options for families with small children or for those on a tight budget. They provide all of the basic aspects of travel and motorhome camping that fans enjoy. Overland RV insurance has quotes that are available 24 hours a day 7 days a week, by phone locally at 480-994-9584 or toll free at 1-800-677-4027. With different coverage’s and rates to choose from, we can provide you with helpful information to help choose which coverage is best for your motorhome. Get your free motorhome insurance quote online now!